Today we celebrate the art of rodolforever, a Mexican illustrator and graphic designer who developed a passion for comic books and superhero movies – and it shows! 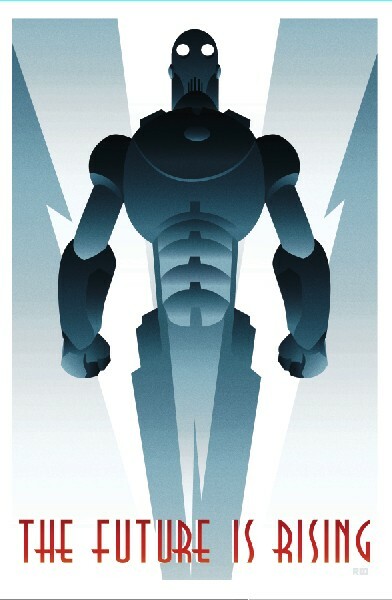 Here is a short selection of his posters and illustrations embracing Art Deco and Ancient Greek mythology, Expressionist movies and Conan Doyle, vamipres and robots. Diesel Era was the golden age of speed records. Every new achievement instantly sparked a need to achieve more. 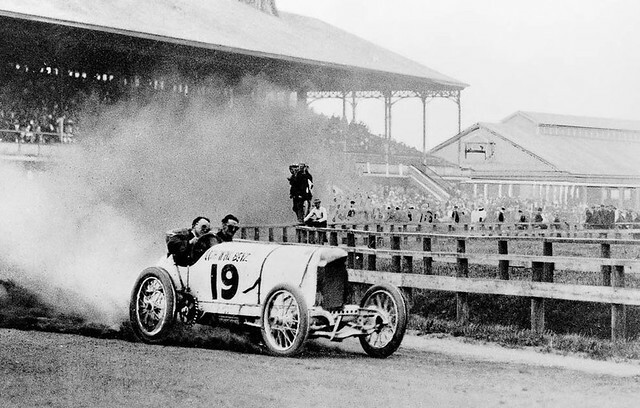 The pace of progress was breathtaking: in 1900, 100 miles per hour sounded like science-fiction; by 1910, it was an already broken limit; in early 1920s, new sleek aircraft reached a 200mph mark; in 1930s, there were cars running at 300mph and floatplanes (yes, floatplanes!) hitting 400. Everything moved faster – not only automobiles and aeroplanes but also trains, passenger liners and warships. 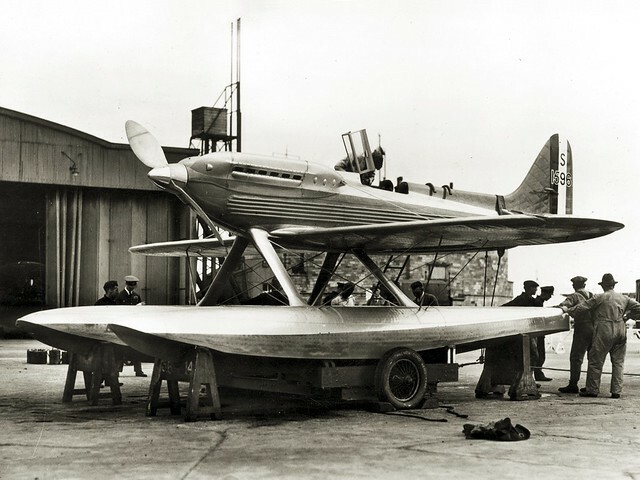 On September 13, 1931, Flt Lt. George Stainforth in the Supermarine S.6B broke the world air speed record reaching 407.5 mph (655.67 km/h). Of course, it’s not a world records list. Just a gallery for your entertainment and inspiration. But believe us, there is a lot to see! A symbol, a trope, a hallmark, a cliché – call it by any other name, the airship is inseparable from Dieselpunk. Our alternative skies are full of dirigibles, real and unreal, peaceful transports and dangerous battleships. These giants can be seen as the ultimate expression of Diesel Era spirit and, at the same time, of contemporary retro-futuristic vision. The most famous airship career ended in a disaster. 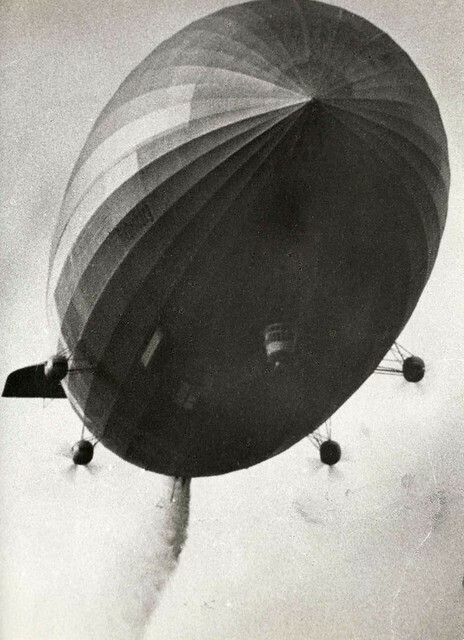 But the Lakehurst explosion was probably the saddest episode in a long chain of disasters, and the Hindenburg was the largest and most luxurious of many Interbellum airships, some of them well forgotten. Let’s see what we can incorporate into our Dieselpunk setting. Only recently we discovered a modern artist who perfectly combines Diesel Era artifacts with today’s attitude. His artwork won’t seem out of place in a 1930s club or post office or gallery. But is it old-fashioned? Just well-rooted. LaDuke’s narrative paintings are a combination of memories, dreams and everyday life, and as such his work remains open-ended. Paintings which tell a complete story from beginning to end are not compelling to him. He puts a lot of personal iconography into each piece, but does not wish to dictate a strict narrative. 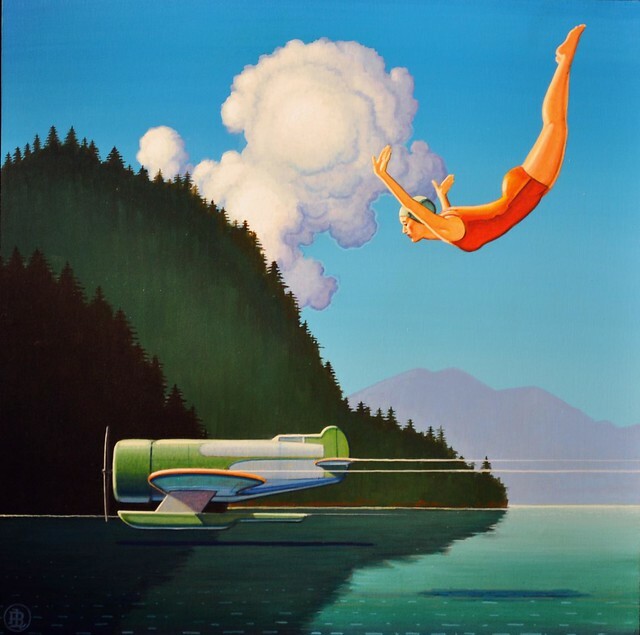 We can add something: Robert LaDuke’s post-modernism has a lot in common with 1920s and 1930s metaphysical art. The objects – all these aircraft, locomotives, skyscrapers, cars and trailers – are recognizable and realistic but the atmosphere is surreal, enigmatic, unpredictable. Let’s open our eyes and turn our imagination on. A few months ago, we did our best to furnish your Dieselpunk setting with 1910s artifacts. Not Diesel Era yet but certainly not Steam Age. How should we call this period – Edwardian? Maybe, but King Edward VII left this world on May 6, 1910. Proto-Diesel? Too pompous. Let’s agree on a somewhat less spectacular but chronologically correct term – Transition. A bridge between two great eras, embracing old and new aesthetics and ideas. Today, we’d like to celebrate Speed and Power. For example, the car above, the Blitzen Benz, is powered by a 21.5-litre 200hp engine. On April 23, 1911, Bob Burman – remember the guy with goggles? – piloted it to an average of 228.1 kilometres per hour (141.7 mph) over a full mile at Daytona Beach, a record that would not be surpassed until 1919. Dieselpunk Encyclopedia is happy to present: Tim Huhn and his Art Deco Series. After graduating from the prestigious California College of Arts and Crafts with a Bachelors degree in Fine Arts and Illustration Huhn worked as a commercial illustrator for companies such as Disney, Universal Studios, Sony & Mattel. After leaving Los Angeles and the commercial world of art, Huhn began to develop a body of fine art while living on the Central Coast of California. Huhn’s experience as an illustrator has enabled him to work in a number of mediums and styles including photorealism and art deco. 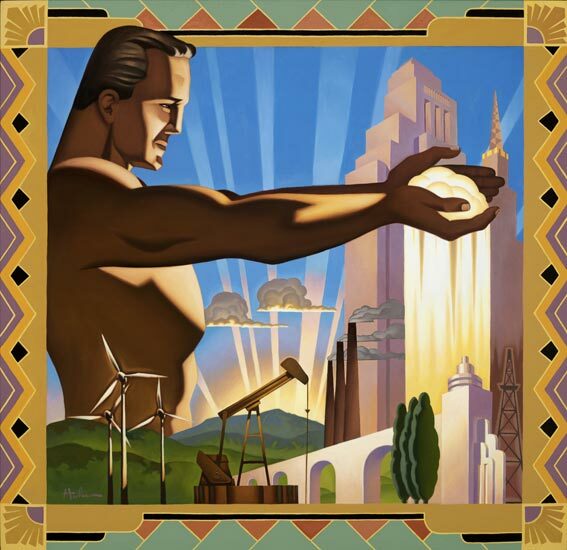 We can add something:Tim Huhn’s artwork bears more than a passing resemblance to the famous WPA murals. It’s fun to see a modern artist who, just like his idealistic forerunners in 1930s, is not afraid of figurative art. An artist whose creations are full of positive spirit. 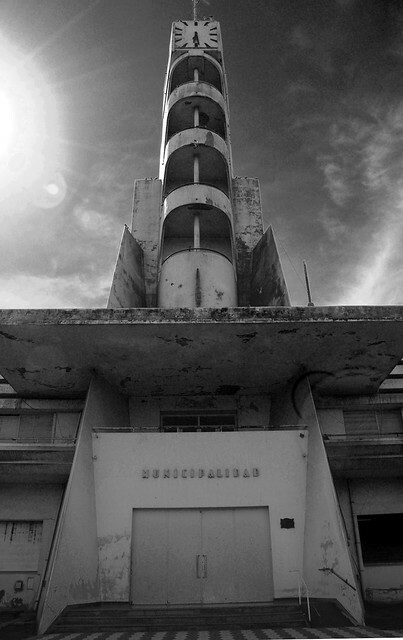 Francisco Salamone (1897-1959) was an Italian-Argentine architect who lived and worked in Argentina, built in just four years, between 1936 and 1940, more than 60 buildings in 25 municipalities of the Province of Buenos Aires. Monumental Art Deco buildings, including cemeteries, municipalities, slaughterhouses, squares and bridges. It’s hard to define the style of Salamone – maybe it’s a very special kind of Art Deco, influenced by Italian Futurism, maybe “monumental modernism” label suits it better. Anyway, this architect (you can read more about him on Dieselpunks.org) built a perfect setting for a Dieselpunk story, dark or bright, Ottensian or Piecraftian. Let’s enter this strange world of municipal edifices, slaughterhouses and cemeteries. Tags: architecture, Argentina, art, dieselpunk, futurism, inspiration, photography, setting"Art Deco"
Dieselpunk is a sub-culture and genre that combines the zeitgeist of the 1920s, 30s and 40s with modern tastes and sensibilities.